I’ve kept fish since 1989 (29 years). A friend who went travelling asked me to look after his 4 foot aquarium which had Oscars and a large pleco in it. He never asked for the aquarium back! Oscars and other large cichlids, Plecs and various Puffers. Also had a Nano reef aquarium for 5 years. 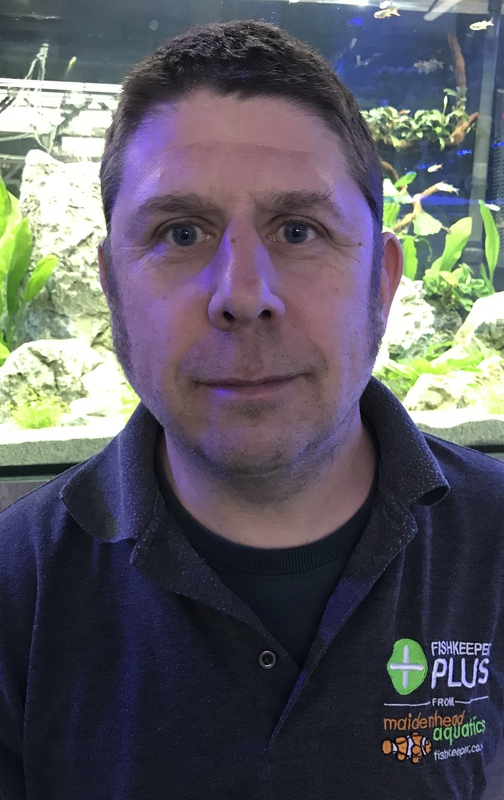 I’ve worked in hard landscaping for 12 years before working for a local specialist aquatic landscaping business for 18 years where I helped run a pond maintenance team. One of my best experiences in fishkeeping was to successfully keep Nile and Topaz puffers. When keeping koi, always go for the best filtration you can afford and then upsize! Mbu puffers in a converted tropical swimming pool with lots of plants, including a viewing window.